Song of the day: Fountains Of Wayne – "Barbara H."
Song of the day: Ken Simpson – "He’s Not Looking"
I received a friendly email from an American musician by the name of Ken Simpson (Hi, Ken!). 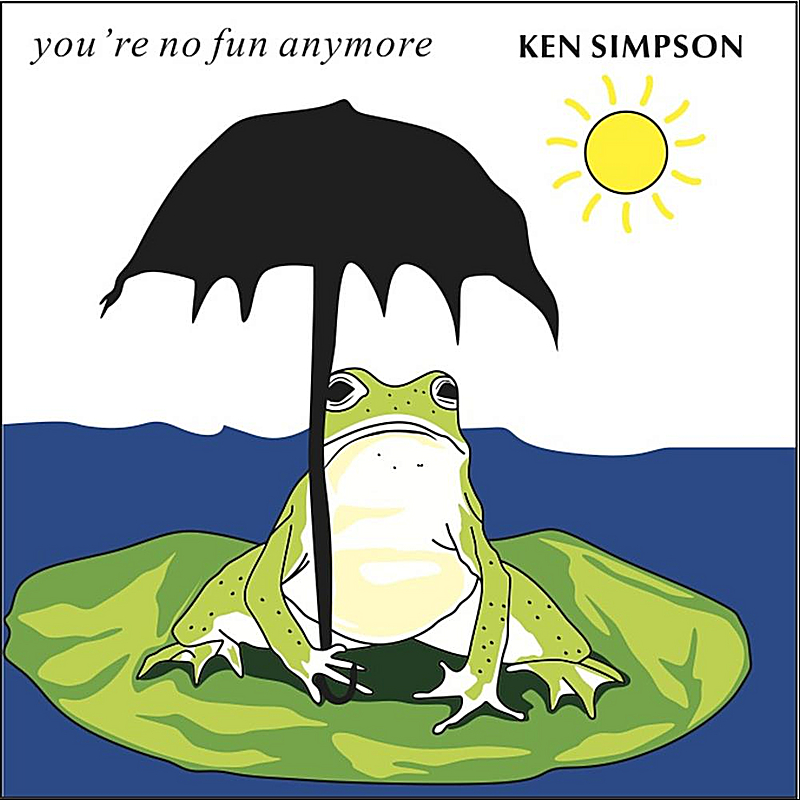 Ken told me about his new EP, You’re No Fun Anymore, and asked if I’d have a listen. I had a listen, enjoyed it (sort of), and got carried away with my comments. I’d be happy not to hear another drummer play in the patented “Relaxed Ringo” style. Just because The Beatles used the “flute” preset on their Mellotron for “Strawberry Fields Forever” doesn’t mean other musicians have to as well. The Mellotron had a lot more settings than simply “flute”. I love the sound of the cello (it’s my favourite orchestral instrument), but hearing it in a slow, late-Beatles-ish song makes me sigh – not in a “Isn’t that lovely” way, but in a “Can’t we use a different instrument for a change?” way. Apart from the general “I’ll sound like John Lennon” vibe that pervades the vocal track on this song, I thought the Johnny-ising* went a bit too far when Ken sang the word “touch” at 0:50. He got all Liverpudlian and pronounced it “tooch” (as if it rhymed like “Look at the book I took”). Trivia: When Ken sang the phrase “This looks like lemonade” (0:51-0:54), I wondered if he’d missed an opportunity by not singing “Lennon-ade”. I’m guessing this song is a good one, but my views of it are clouded by my dislike of hearing yet another song infused** with slow, late-Beatles sounds and playing. Actually, the chorus reminded me of something too, but I don’t know what. Grrr. Bad News: The harmony singing from 1:19-1:21 is out of tune. Good News: It doesn’t happen anywhere else in the song. By the way, I liked this song much more than the first one (“The Poisoner’s Song”). Moody. I like the low-key brass (which created the “moody”), but I didn’t like the syncopated drumming – especially from 0:43-0:58. I thought the syncopated tom-toms were a bit better (they weren’t as noticeable), but overall I thought the jumpy drumming didn’t suit the mood of the song. I like the brass interlude from 1:59-2:26. Very nice. Incidentally, Ken’s double-tracked voice when he sings the high notes in this song (e.g., “How can you…” from 2:50-2:52) sounds like Gerry Rafferty. I can’t think of much to say about this one, because it’s pleasant and doesn’t do anything particularly noticeable by way of something like “Wow! What an unusual chord progression!”, or “Wow! It’s incredible how Ken’s spoken-word Emily Dickinson quotation fits perfectly in the middle eight!”, or “Wow! Who would have thought a shamisen solo could work in a pop song!” etc. And it has a mighty fine guitar solo (1:56-2:16). And a nice key change from 2:32 onwards. Mmm: jazzy. And very smoooooooooth. Unfortunately, this track in particular highlighted Ken’s vocal limitations. But, like “When You Talk To Me”, this track also had a great brass interlude from 1:18-1:52. I like brass interludes. Suggestion for the song’s arranger: During the brass interlude, instead of the cello sawing its way through that section how about a string trio? It’d sound a lot smoother. Despite my misgivings about some aspects of this song, I liked it. This and track 2 (“He’s Not Looking”) are probably my two favourite songs on the EP. The return of the Mellotron “flute” preset. But I’m OK with that because it’s not too noticeable. And the return of Ken’s voice reminding me of Gerry Rafferty. By the way, I think Ken likes starting his songs quietly for about half a minute before the rest of the band kicks in, because this this is the fourth song on the EP to do that. It would be dreadfully impolite of me not to mention that You’re No Fun Anymore was produced by David Mead. 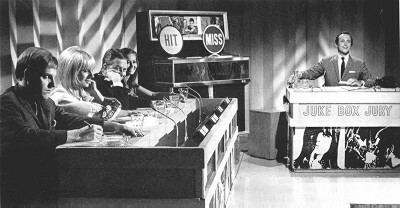 And this was David Mead’s first production job. So if you’re a David Mead fan, you can confidently go near this EP knowing that David Mead sprinkled a bit of his pixie dust on it. Among the thousands hundreds dozens few emails I receive from musicians and/or record companies asking me to tell you about the music they’ve made and would like you to hear, one was from a record company called Radiant Future Records promoting the music of Martin Gordon. The email I received had a message about Martin’s Pledge Music request (see video below), along with samples of songs from his forthcoming album, Include Me Out. 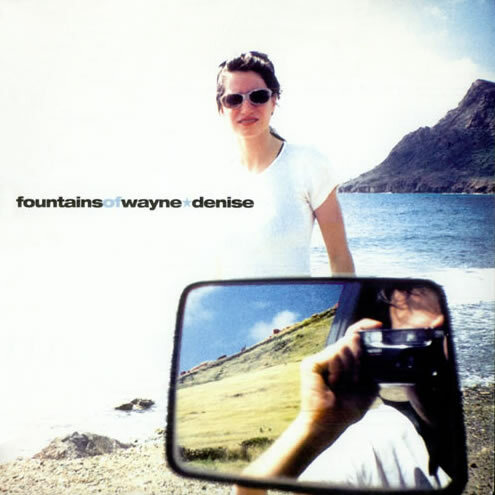 Anyway, one of the songs I heard in the email reminded me of a track by Fountains of Wayne. They may not be all that similar, but Martin’s thingy reminded me of Fountains Of Wayne’s thingy. 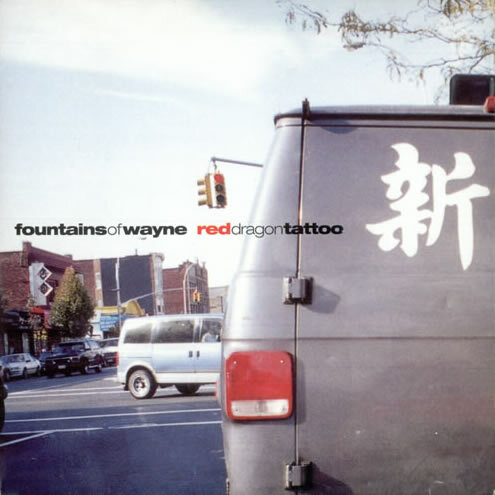 Song of the day: Fountains Of Wayne – "Denise"
Song of the day: Fountains Of Wayne – "Red Dragon Tattoo"
Ever had a song that got stuck in your head and refused to leave? A few years ago Fountains Of Wayne‘s “Red Dragon Tattoo” decided to plant itself in my noggin and stay there for about a week. It wouldn’t budge. 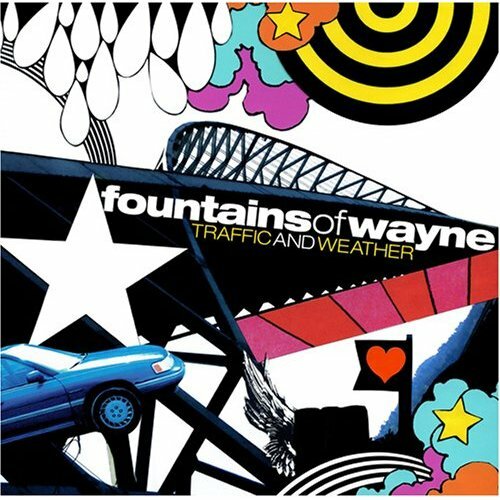 Song of the day: Fountains Of Wayne – "Yolanda Hayes"
I like Traffic and Weather more than I used to. And that is probably the dullest paragraph you’ll read all day week. This particular coincidence emanated from a post on the PowerPop blog. One of the blog’s contributors, Steve Smiles Simels (Hi, Steve! ), posted a song he liked called “All Things Retro” by Dave Birk. A few other people mentioned the similarity, and then the embattled songwriter Dave Birk (hi, Dave!) left a comment stating in a heartfelt manner that the coincidence was entirely coincidental. You are currently browsing the archives for the Fountains Of Wayne category.